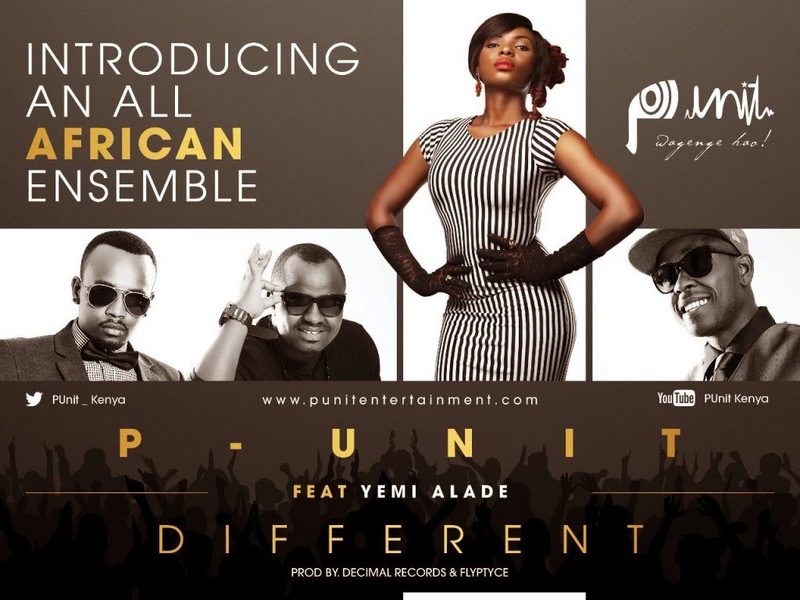 While their recent hit track “WEKA WEKA” continues to dominate at the top of the local charts around East Africa, The two time Channel O award winners P-Unit pace further to take Africa by storm through the release of their new hit song titled “DIFFERENT” featuring the award-winning Nigerian afro pop/R&B artiste Yemi Alade. The new hit track “ DIFFERENT “ sees the dynamic trio once again bring to life the diversity of Genge music through a seismic blend with afro beat style popularly re-known in the West African market. The song produced by Taurus Musik sets the tone for P Unit’s 2015 plan that intends to vivaciously boost their cross over strategy by making inroads further across the African continent and beyond. In the past two years, the band has had massive success across the continent and beyond through the release of four hit songs “YOU GUY” featuring Collo, “MOBIMBA “ featuring Alicious and their singles “LOVE” and “WEKA WEKA”.